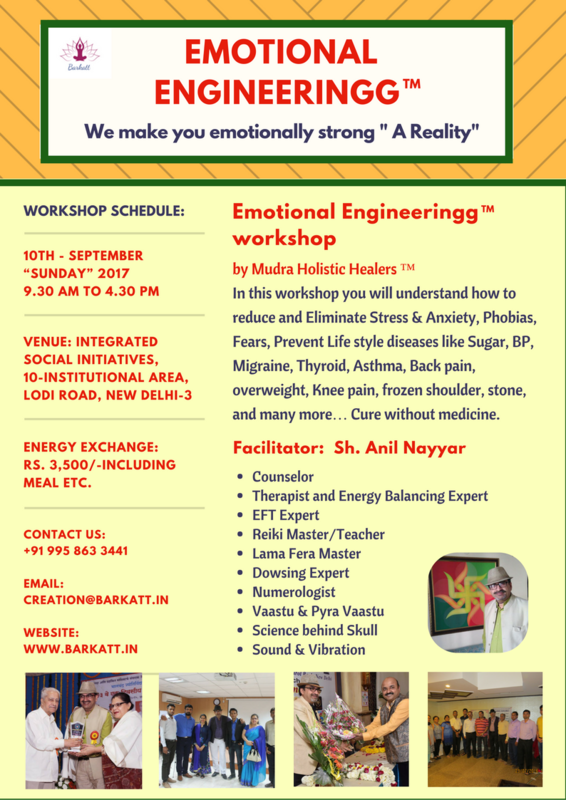 Emotional Engineeringg TM Workshop 10th Sep.
Energy Exchange: Rs. 3,500/-including Meal etc. Seats are limited: Prior registration is must..... Hurry! ​We make you EMOTIONALLY strong "A Reality"